Performing at the South Orange Middle School on Ridgewood Avenue, the South Orange Symphony presents three admission-free concerts per season of the most wonderful and cherished symphonic works. Our members are a diverse mix of amateur and professional local musicians. Most of our members have extensive training in classical music and we encourage both seasoned musicians as well as students. One concert will be designated as a family-oriented event where our goal is to have community outreach and collaboration in an effort to provide education and exposure to those who may not be familiar with classical music. This is accomplished by including other local organizations such as a chorus, dancers, soloists and other local artists. Established community organizations are encouraged to collaborate with us on projects. The South Orange Symphony is proud to enrich the South Orange/Maplewood communities with great music and musical opportunities to all. Janet M. Poland - Springfield, NJ - SO Symphony President of the Board - Accounting Associate with Sal LaGreca, LLC (Fiduciary Tax and Accounting). Violist with the SO Symphony for the past 19 years. President of the Oratorio Singers of Westfield, NJ. Volunteer with the Rome Festival Orchestra in Rome, Italy for 25 years. employed part-time by SAGE, a non-profit dealing with the elderly. Counselor in the State Health Insurance Assistance Program. pending Internationally in processes related to entity matching and linguistic disambiguation. Deep expertise in languages and multinational business. Elizabeth Harris, South Orange, NJ - Algebra teacher at SO Middle School and School Musical Director. Sings with Harmony Celebration Chorus, a women's Acapella group in Ridgewood. Innes Borstel, Maplewood, NJ - Preschool teacher (ages 3-5) Ben Samuels Children's Center at Montclair State Cellist with SO Symphony for more than ten years. Has been an exploration geologist (in ME), a studio potter (MA and IN). Susan Haig is a conductor, producer, and cultural leader dedicated to fostering creative and civic vitality in New Jersey. Her work throughout Canada and the U.S. has included orchestral and opera conducting, video producing, solutions-based news, and broadcasting. Haig has served as Music Director of Canada’s Windsor Symphony and the South Dakota Symphony Orchestra, Associate Conductor of the Florida Orchestra, and Resident Conductor of the Calgary Philharmonic Orchestra. 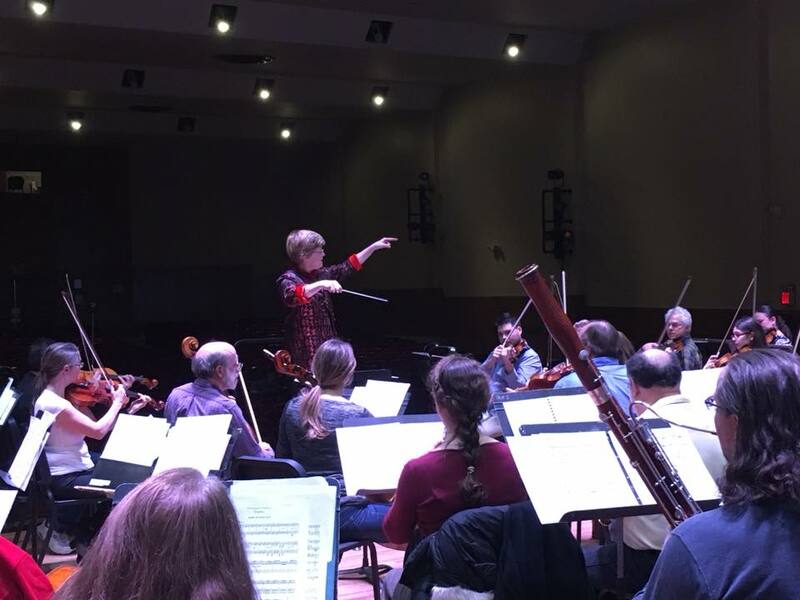 Formerly a coach and assistant conductor with the Canadian, Santa Fe, and New York City Opera companies, she has conducted numerous opera performances in Canada and the U.S., and hundreds of orchestral educational concerts for students of all ages. In 2009, Haig founded CivicStory.org (formerly NJ Arts News), a nonprofit solutions-based news site focused on civics and sustainability, that has produced over 100 short-form videos showing creative transformation in New Jersey. The organization received the Garden State Film Festival's 2016 Broader Vision Award for "filmmaking dedicated to the greater good." Haig has been featured both as conductor and commentator for statewide and national radio broadcasts in the US and Canada, and was awarded an honorary degree of Doctor of Humanities from the University of Windsor. 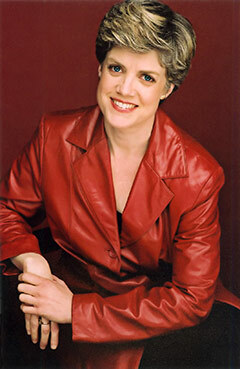 Ms. Haig was born and raised in Summit, N.J., graduated from Princeton University and received Master's and Doctoral degrees in piano and conducting from the State University of New York at Stony Brook. She served as a trustee of the National Music Museum, and was President of the Summit-New Providence Rotary Club and a 2017 Lead NJ Fellow. A founding member of Summit Area GreenFaith Circle - dedicated to engaging congregations and citizens in caring for the environment - Haig is a new resident of South Orange. Robert has been featured as guest soloist with numerous orchestras in Florida, New York, New Jersey, and along the East Coast, and has collaborated with some of the world’s most iconic musical figures such as Yo-Yo Ma, Itzahk Perlman, Jamie Laredo, and many others. He is currently the Concertmaster of the South Orange Symphony and the Baroque Orchestra of New Jersey, performs as section violin with the New England Symphonic Ensemble, an orchestra-in-residence at Carnegie Hall, and violinist in the Berkshire Opera Festival in Great Barrington, MA. Robert is the founder of the chamber music series known as “Music in the Library” at the New Jersey Institute of Technology where he performs with the Littman Quartet. Robert is also the Violin Faculty at the Cazadero Performing Arts Camp in Cazadero, CA. On the educational side, Robert currently runs the violin program at the Robert Treat Academy Charter School in Newark, and also accompanies the RTA chorus. Robert also teaches several private students in the North Jersey area. A fall program featuring two interpretations of Shakespeare’s classic “Othello” and Mendelssohn’s “Italian” symphony. An eclectic, fun-filled family show stopper…..complete with tap dancing!